A High level Committee has been constituted by the government to evaluate the existing potential of the organizations under the Ministry of Science & Technology. 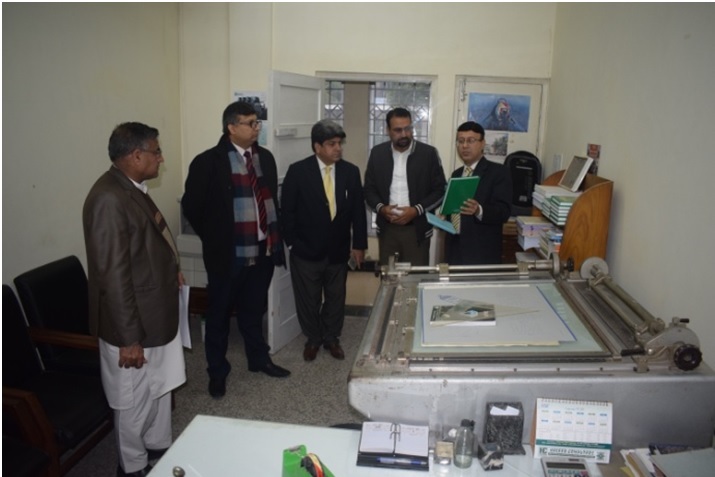 Accordingly two members of the committee, namely Dr. Shahzad Alam, Chairman PCSIR and Dr Athar Osama Member S&T, Ministry of Planning, Development & Reform visited PASTIC to see the facilities and infrastructure available at PASTIC. 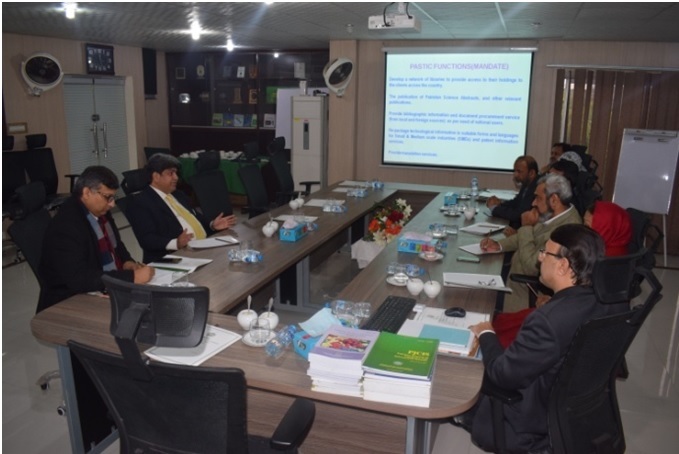 Dr. Muhammad Akram Shaikh also gave a presentation focusing on PASTIC existing activities and future plans. A view of the meeting with the High Level Committee. Members of the High Level Committee visiting the PASTIC Reprographic Section. 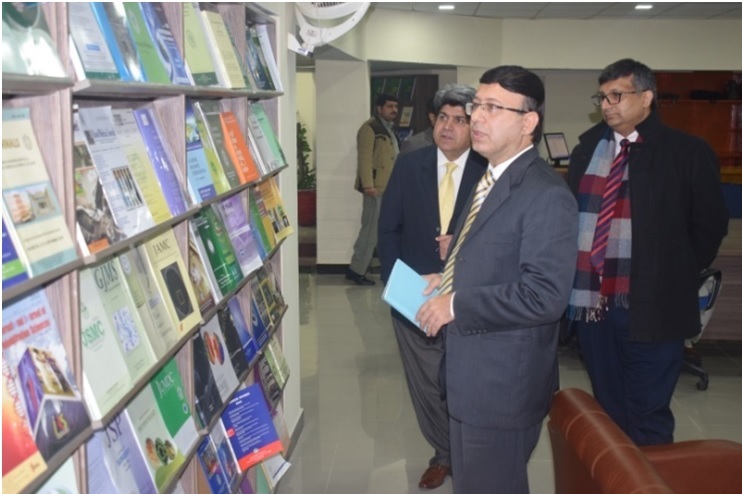 DG PASTIC briefing the delegation about facilities at the PASTIC Library.